…This afternoon we could choose what we wanted to do. We chose to do a radio play – comedy, of course – about the Nine O’Clock News. It was great to do. On Monday I am going to bring a classical tape to play during lunchtime. I still can’t abide it. I think my dislike dates back to an afternoon in the summer of 1985, when one of our neighbours decided to sunbathe in her garden while playing the song over and over again. It was a form of suburban torture. How pompous of me to say that, rather than bring in another kind of pop music, I would go for something classical. Predictably I chickened out in the end. I’d forgotten, though, that we could listen to tapes during lunchtime. I wouldn’t get to enjoy that kind of freedom again until I was in the sixth form. As for the radio play, nothing survives on paper, on tape or in memory. I think that’s best for everyone. …Cycling proficiency for the 4th years. 800m running for the 3rd years [my year]. Did Drama, Creative Writing and Graphs this morning. Had chips, sausages and spaghetti hoops. This dedication still exists. It turns up a third of the way through side one of my second volume of home-taped TV themes. I kept it as a memento of the first time I ever rang up a real-life (as opposed to a pretend) radio station. 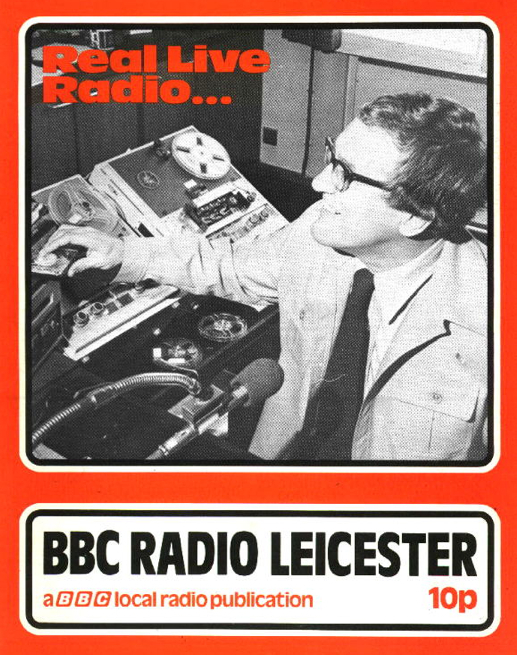 The station in question is BBC Radio Leicester, which at the time I listened to quite a lot. This wasn’t so much because of its presenters or choice of music, but because nobody else in our house listened to it, and I wanted to claim it as my own. We had quite separate and mutually exclusive radio tastes in our family at that time. Mum and Dad listened to Radio 4. I’d started with Radio 1 but by the spring of 1986 was transferring allegiance to Epic House, Charles Street, LE1. My sister didn’t listen to anything. Nobody went near Radio 2. This meant that not only did I miss out on being reared to the sound of Wogan at the breakfast table, but also that nobody could ever agree on anything for everyone to listen to while, say, in the car or sitting down for a meal. Her birthday dedication was quite possibly the first time my Mum had ever heard Radio Leicester. I’m pretty sure it was also the last*. *Excluding those days when it snowed and everybody across the county suddenly remembered they had a local station they could tune to and discover if their local school was shut. …Listened to first Cat’s Whiskers programme. What’s the consensus on Condorman nowadays? 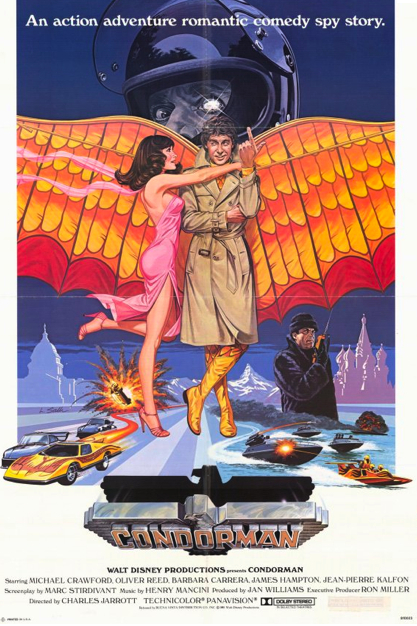 I would have watched this in 1986 hoping to see lots of pratfalls and mind-boggling stunts. Heavens, they even put Crawford in a Frank Spencer mac. Crawford: I’ll have one of those. Waiter: A double? Nobody orders the double, sir. Crawford: OK. Make it a triple! Well, it makes me chuckle. As for Cat’s Whiskers, this was a magazine programme that was flung out during the school holidays in the mid-1980s to try and get more kids listening to Radio 4. It succeeded in my case, but I can’t remember anything else about it, other than it was presented by Paul Nicholas, then at the peak of his Penny-pinching powers. It was also somewhat overshadowed by Pirate Radio 4, which hailed from the same era, was inspired by the same purpose and which was home to, among others, all-new Adrian Mole (hooray!) but also all-new Dr Who Colin Baker (boo! ).